Angelika has a wonderful, bubbly personality, and an incredible passion for food, so we matched her with Chef Geoff, Executive Chef for the Pittsburgh Penguins! At their first meeting both Angelika and Chef Geoff were filled with a lot of nervous excitement! But after spending some time touring the Penguins facility together they lost the nervousness and were just plain excited - they couldn’t wait to start cooking! 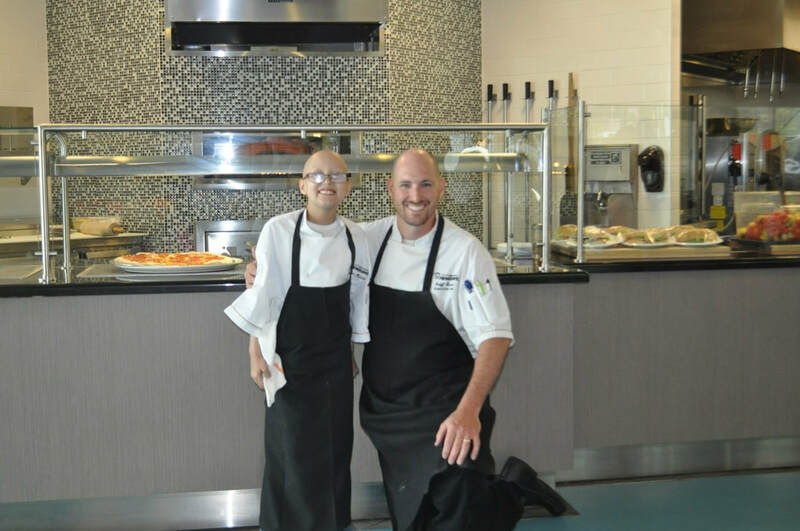 Chef Geoff taught Angelika some of his best cooking tips and then enlisted her as his Sous Chef for the day. They worked side by side in the kitchen for well over an hour preparing a sensational meal of hanger steak, purple potato hash, and patty pan squash with truffle demi glace. They both went home that night with happy hearts and fully bellies!